You are here: Home / Fight the New Exclusion! 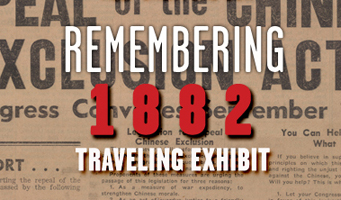 As we prepare to mark the 135th anniversary of the Chinese Exclusion Act, we are deeply disturbed by the dangerous rise in incidents of racist rhetoric, hate crimes and violence against people of color, and anti-immigrant policies that parallel what occurred during the the Chinese Exclusion era. 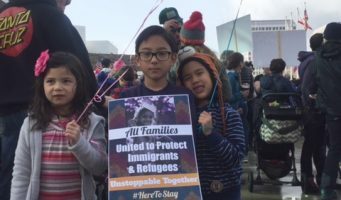 Join CHSA in its DAILY efforts to shed light on the true human toll of racist and restrictive immigration policy. 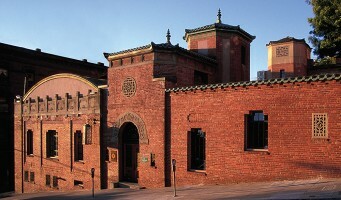 Through its major exhibition at the CHSA Museum in San Francisco Chinatown, Chinese American: Exclusion/Inclusion, its traveling exhibit Remembering 1882, and a suite of educational materials, CHSA shares the story of the 1882 Chinese Exclusion Act and its implications for today’s struggle over the proud contributions of immigrants to this society. 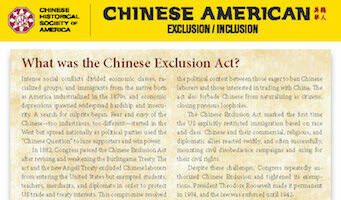 Learn more about our campaign to Fight the New Exclusion here. Sign up for our emails to take action to #fightexclusion, and tell us on social media @chsamuseum how you #fightexclusion. 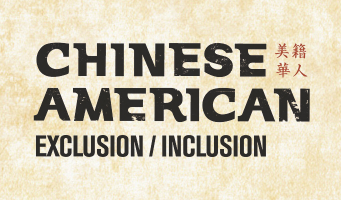 We also invite you join us this May during Asian Pacific American Heritage Month to commemorate the 135th Anniversary of the Chinese Exclusion Act. 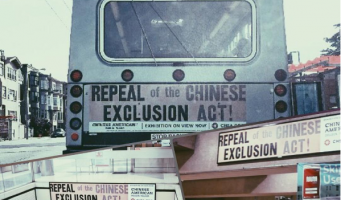 As a community-based organization, we rely on your passion and generosity to continue our work of providing in-person information six days a week about how the Chinese community and allies resisted Exclusion, and its lessons for today. Contribute to the cause with a donation of $5 or any amount.